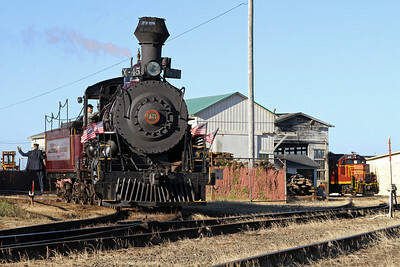 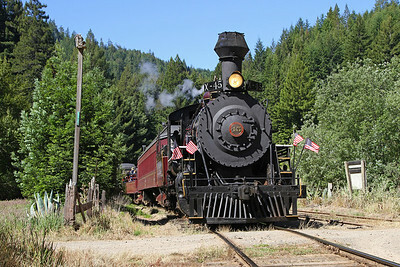 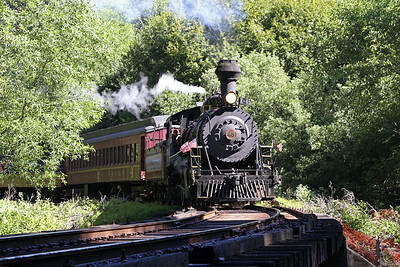 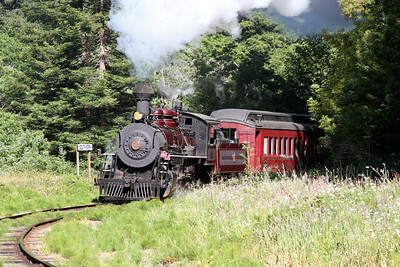 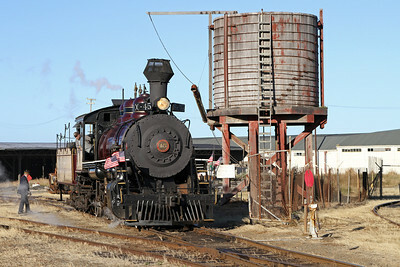 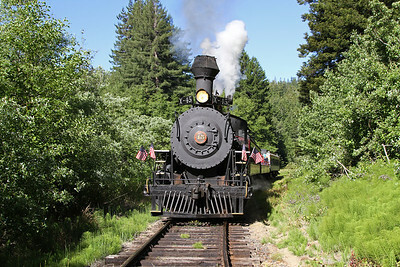 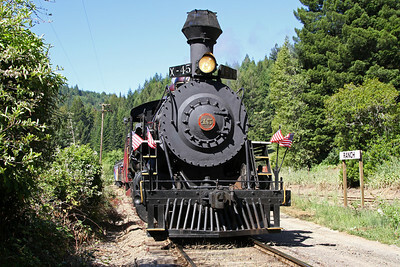 Photos from June 2012, featuring Owen-Oregon Lumber Co. 2-8-2 #45 (Baldwin built 1924) with the daily tourist train. 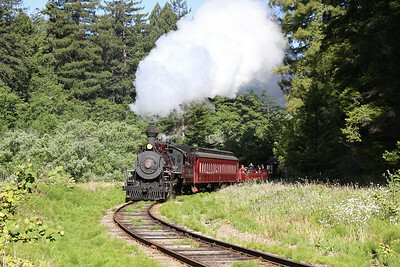 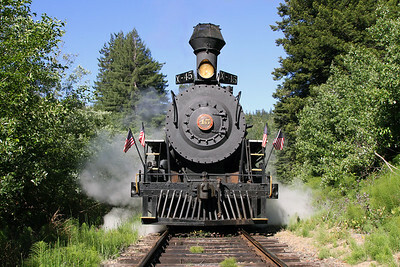 Built for logging, the railroad was completed in 1911 from Fort Bragg to Willits where it connected with the Northwestern Pacific. 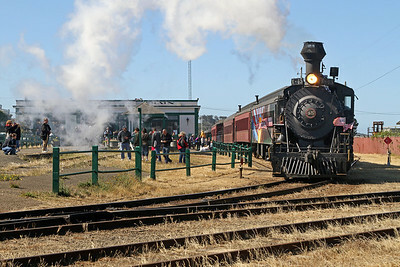 By 1925, economical gas-powered motorcars began to replace steam for passenger service, and the smell of their exhaust and oil-burning stoves gave the Skunk Train its name. 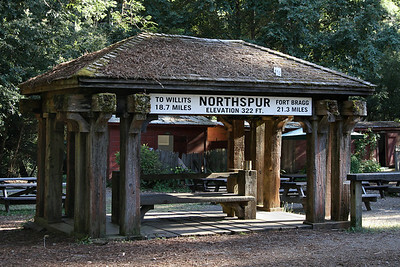 The 40 mile route features 30 bridges (originally 115), two tunnels, 381 curves, and 3.5% grades as it climbs from the Pacific Ocean through the Noyo River Valley, across the Coast Range at 1740 feet, and back down into Willits. 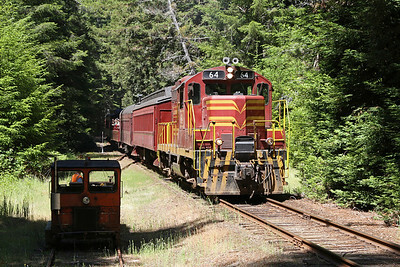 The railroad no longer delivers mail to residents along the remote route (it was the last in the country to do so in 2003), but trains still pickup passengers at numerous flag stops. 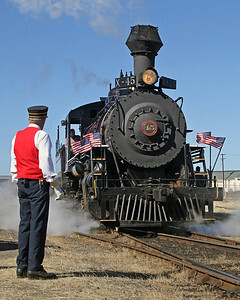 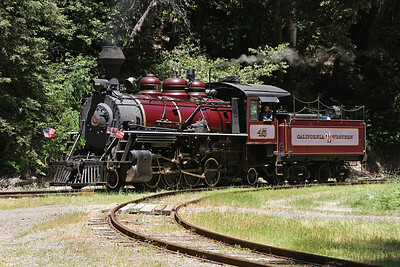 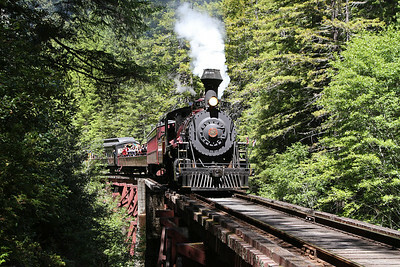 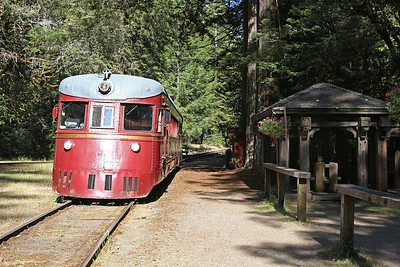 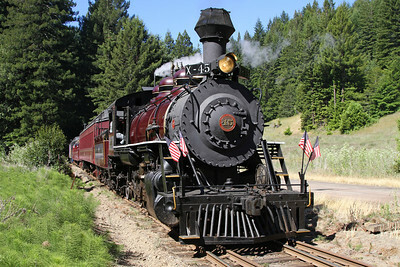 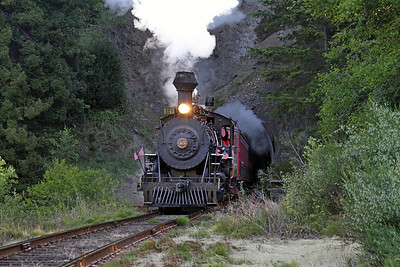 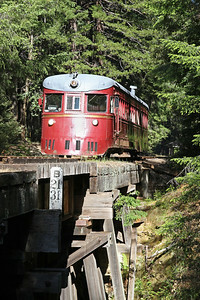 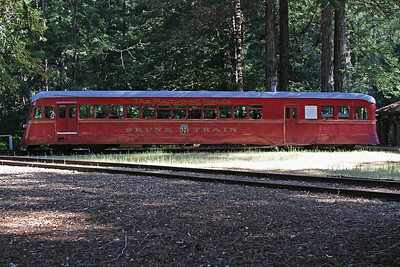 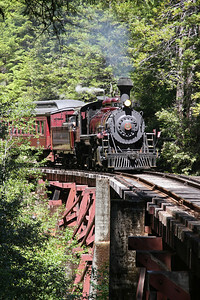 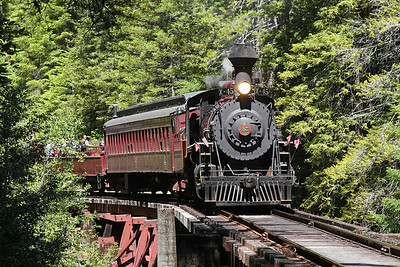 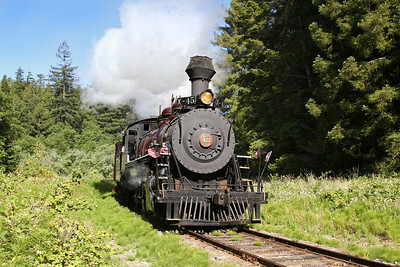 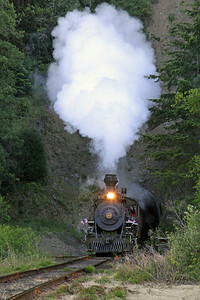 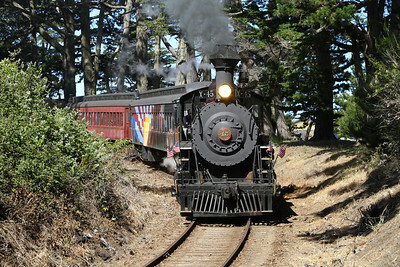 For excursions, visit the Skunk Train Website.